I received an email from Saana ja Olli, introducing me to their company and products. 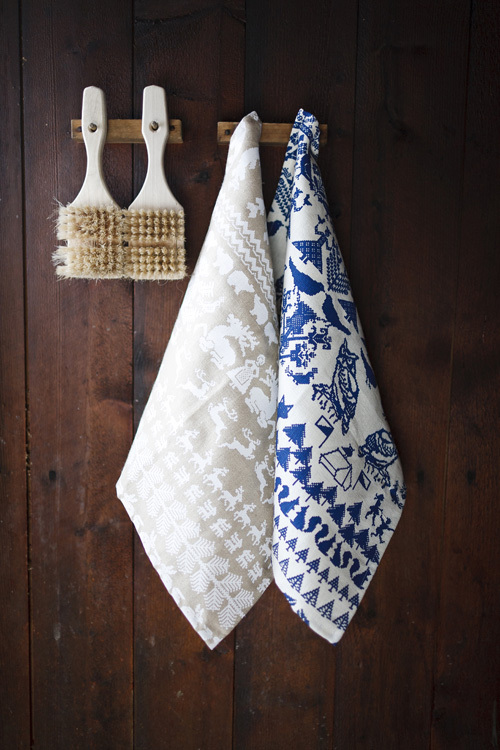 Saana ja Olli is a Finnish design label whose interior textiles are produced with the environment in mind, from hundred per cent European hemp fabric. The textile designers Saana and Olli combine olden times myths and magical creatures with traditional Finnish textile art in their new print named Yö metsässä (which translates ”A Night in the Forest”). The print tells a story about life in the forest. Inspiration came from traditional Finnish lifestyle blended with magical elements, an old weird Finland that never existed. 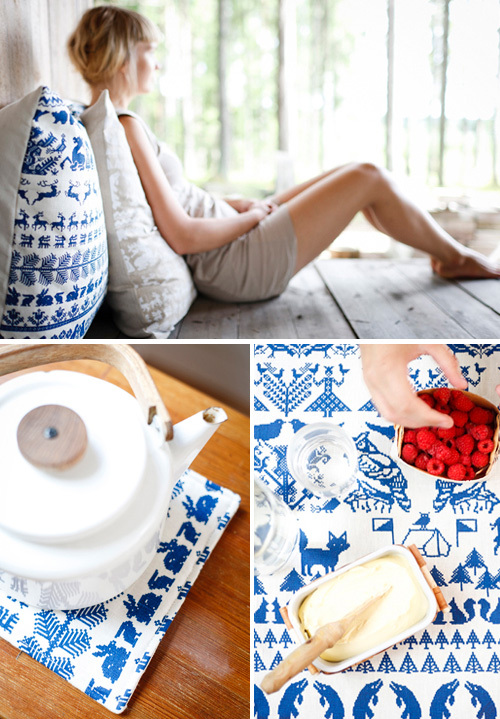 The magical creatures of the Yö metsässä line can be found on cushions, bags as well as sauna- and tea towels. just perfect. love the white and blue combination. pretty and inspirational photos as well.